(CNN) There are few football clubs like Ajax. There are even fewer, perhaps, with as clear a pathway between academy and greatness. 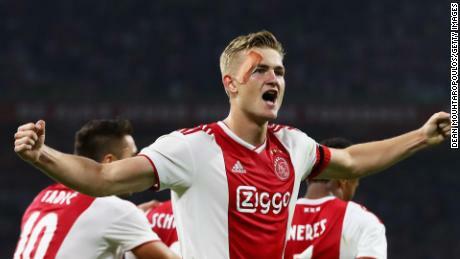 Ajax’s captain at 19 years old, Matthijs de Ligt became the youngest player to start a European final in 2017. «It’s really nice,» he says, of the relationship with the club’s supporters. «I was a fan before when I was younger, so I watched a lot of games and I was always singing in the crowd and shouting when the referee made a mistake or something, you know? 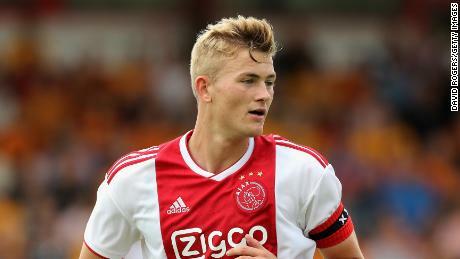 «Everybody knows Johan Cruyff,» De Ligt says. «And everybody knows the impact he had on the football world and on Amsterdam. «Of course it’s an extra responsibility being captain of a club like Ajax,» he says. There is no cliché, but a relaxed professionalism that stretches across his words. «It’s always a big moment. But for me, it’s nothing new. In the youth [teams], I was a captain before, so I know what responsibility is, and I like responsibility. I like the challenge of developing into a good captain and becoming a better captain. The Dutchman is the latest in a long line of stars to graduate from Ajax’s famed youth system. Three years ago, De Ligt was captaining the Netherlands’ Under-17 team against Germany. Now, he is preparing to lead Ajax against Real Madrid. «You never know,» he admits of his long-term destination. «At the moment, I’m really happy at Ajax. Every day I come to the club with a smile on my face. So, I’m really happy here, and at the moment I’m not focusing on other clubs. «I’m just focusing on becoming champion with Ajax, winning the cup and winning against Real Madrid. «They have won the Champions League three times in a row now, so of course they are the favorites. But we know our strengths. We know what we can do, and we will see where it ends, and we have a lot of confidence.